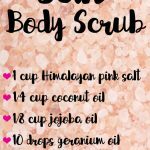 DIY Rose Petal Coconut Oil Sugar Scrub - beautymunsta - free natural beauty hacks and more! 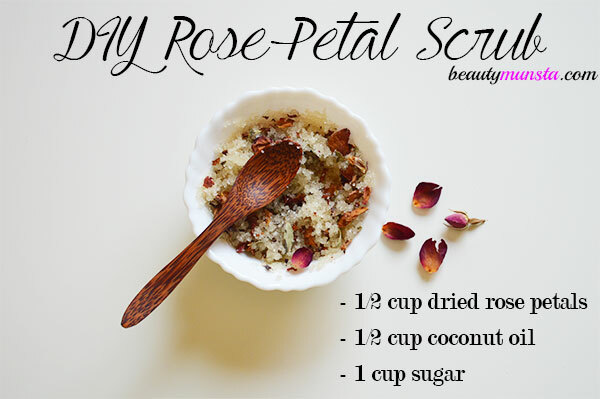 Learn how to make a luxurious DIY rose petal coconut oil sugar scrub for beautiful rosy skin! Roses are the most romantic flowers on planet earth. They were used since ancient times for beauty purposes. Fresh rose petals were gently placed in milk baths and their scents filled up the bathroom, creating a relaxing spa session. They were also used in healing salves and balms as well. From roses, rose water and rose oil were also extracted since ages ago and used in beauty and perfumery. 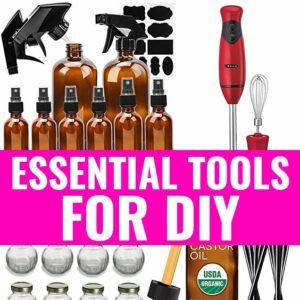 Fast forward today and you can quickly make your own rose petal luxury bath product right at home! 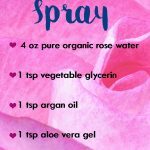 All you need are rose petals (fresh or dried – both work), coconut oil and good old sugar. ✿ Rose petals – These delicate beauty products cleanse skin and purify pores. They also have powerful antioxidant properties that promote youthful skin. 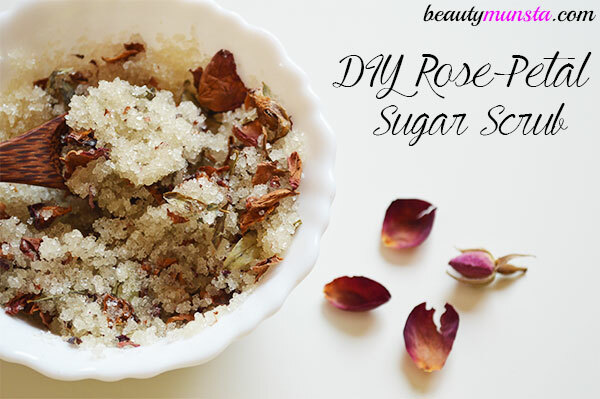 Rose petals in this sugar scrub recipe have a mild texture that assists in exfoliation of skin. They are also rich in vitamin C that boosts collagen. ✿ Coconut oil – This heavenly tropical goodness has a great consistency that makes it a good base oil for sugar scrubs. It also has a small molecular structure that easily penetrates and absorbs into the skin. Coconut oil is also rich in healthy fatty acids that deeply moisturize skin, keeping it silky smooth and soft. 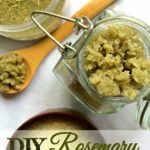 ✿ White sugar – The main exfoliant in this recipe, regular white sugar has a gentle abrasive texture that makes it good for scrounging off dead cells, grime, dirt and pollution from the pores. It also stimulates circulation which helps reduce cellulite and smooths skin. Into your blender, add the organic rose petals, coconut oil and white sugar. Now blend for a few seconds to crush the rose petals and combine the ingredients together. That’s it! Shovel your finished rose petal coconut oil sugar scrub into a clean container. 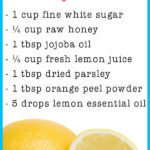 Take about 2 tbsp in a bowl for your whole body in the shower. Say hello to beautiful soft skin!